The 24/7 fitness center at Tower Barracks will serve as a pilot for the other installations at USAG Bavaria, where the demand for a 24/7 fitness center extends across the footprint. Photo by Juanita McLellan. GRAFENWOEHR, Germany — U.S. Army Garrison Bavaria opened its first 24/7 fitness center open to all DOD ID cardholders 18 years or older. The Field House Gym is located in Grafenwoehr at the Tower Barracks Field House, Bldg. 547, behind the AAFES Military Clothing shop across from Burger King. The new facility is the result of an initiative begun by former garrison command sergeant major, Command Sgt. Maj Robert Todd, well over a year ago, said Serge Kearse, Chief of Sports and Fitness Operation Branch for USAG Bavaria. In order to use the 24-hour facility and functional fitness areas, patrons must attend a mandatory 30 minute orientation emphasizing rules, safety and emergency procedures. Orientations are offered Monday – Friday at 7 a.m., noon and 6 p.m. at the Field House, B547. Orientation will not be conducted on U.S. and training holidays. Pre-registration is required in person at the Tower Barracks Physical Fitness Center, Bldg. 170. For more, call DSN 475-9007, CIV 09641-83-9007. “The safety orientation and training covers also physical activities that you will have to do,” Kearse said. “We want to make sure that everybody who uses this facility has the basic knowledge without injuring themselves. We also cover emergency aspects, such as where the emergency phones and First Aid are located. The Field House Gym features a functional fitness area, free weights, benches, Nautilus pin-loaded fitness machines and some cardio equipment such as treadmills and Ellipticals. Fitness center patrons, after completion of the orientation class, will be able to access the facility by swiping their ID card through an installed ID card access system. Cameras are installed to ensure safety and accountability. 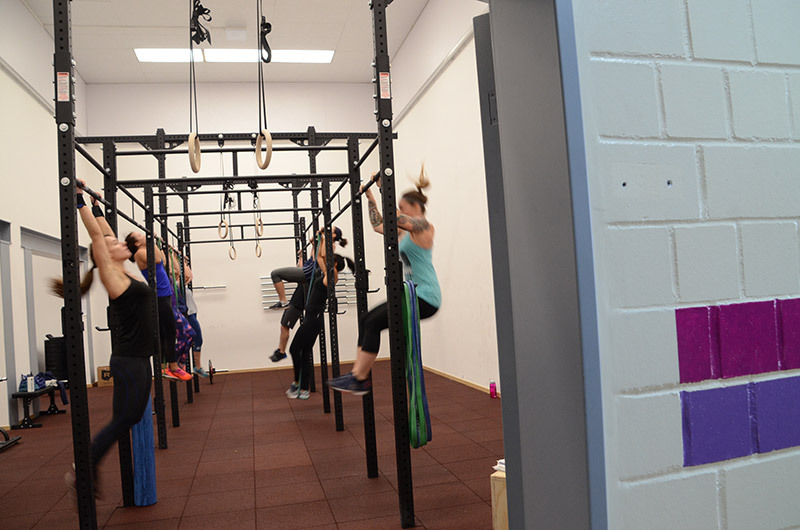 “Due to all the interest in functional fitness, we designed an entire room so everybody can come in and do their functional fitness. We have a lot more room and good equipment,” said Anna Olson, a family member, Army spouse and volunteer. But maintaining the facility will require community assistance. “We request from the community to volunteer to help us. We need more Level I [functional fitness] trainers,” Olson said. Olson and her husband are both volunteer coaches. The Field House Gym at Tower Barracks will serve as a pilot for the other installations at USAG Bavaria, where the demand for a 24/7 fitness center extends across the footprint. Patrons new to Functional Fitness, are also offered an introduction/safety orientation class held at the Field House. This class, offered twice a month, is a three-hour course covering fundamentals, proper form, movement and safety. Bring workout clothes and be prepared to engage in physical activities. Those seeking top volunteer at the new fitness center, or for more information on orientation dates, visit or contact the Tower Barracks Fitness Center at DSN 475-9007, CIV 09641-83-9007.